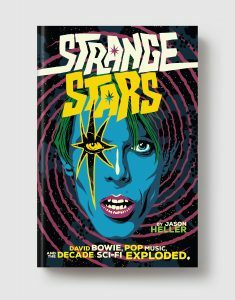 If today’s Comic Con culture has us thinking that the nerds have won at last, Strange Stars brings to life an era of unparalleled and unearthly creativity—in magazines, novels, films, records, and concerts—to point out that the nerds have been winning all along. JASON HELLER is a Hugo Award-winning writer whose work has appeared in the New Yorker, Rolling Stone, Pitchfork, and the Atlantic Monthly, among other publications. His latest novel is Taft 2012. He lives in Denver.